Visit the Mid-Illini Credit Union Box Office at 1000 West Raab Road in Normal, Illinois (61761) during normal business hours Monday through Friday 9:00 a.m. to 5:00 p.m. Parking at The Corn Crib for all Normal CornBelters games is $2 per vehicle (excludes Season Ticket Holders with parking passes). Parking charges may vary between special events, concerts, and promotional nights. 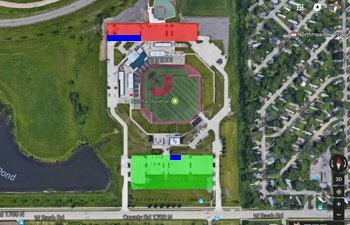 RV's are permitted to park at The Corn Crib for Normal CornBelters games and are restricted to the lower lot grass area. RV parking fees are $10 per vehicle. 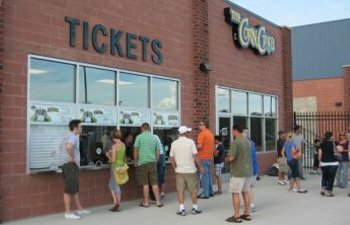 Tailgating is also permitted at The Corn Crib for Normal CornBelters games and is also restricted to the lower lot grass area. Outside food and drink is not permitted inside The Corn Crib. Opener container laws apply on The Corn Crib property in pursuant to laws of the State of Illinois.